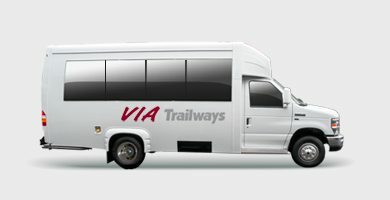 VIA is committed to safe, reliable, and comfortable transportation. We consistently rank in the top 5% of safe operators in awards given by a major national insurance carrier, a tribute to our comprehensive safety and training program. 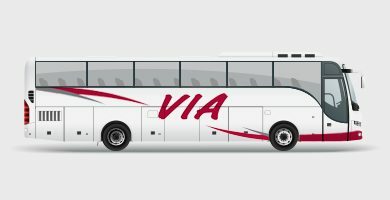 Choose from our selection of charter buses, Mini that seats 19-24 passengers to our Luxury coach bus that seats 42-52 passengers and a variety of selections in between. See below to learn more about the sizing/amenities of each of our models. For more information, contact us, and we’d be happy help you find the perfect fit for your trip! 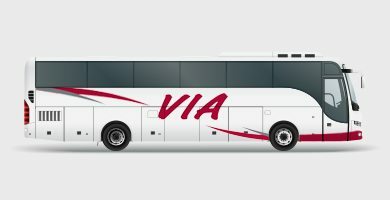 Reserve our luxury coach buses for leather seats, free Wi-Fi, TVs and more! You need comfortable, reliable group transportation at a reasonable price. 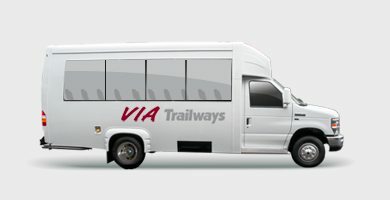 VIA Trailways coach buses will get you where you need to go! Your small group deserves the best travel amenities. Our luxury mini buses include reclining leather seats, TVs and more! Small and steady, our mini buses provide convenient, cost-effective and comfortable transportation for your group.